Are the Kpop Fans out there are excited as me??? SMTOWN is coming to Singapore this November!! 23 November 2012, Friday at 6.30pm. Hell ya! Can’t believe it right??? And of course I’m super anticipated in this event cause my Super Junior is one of the confirmed line-up!! Finally I can get to see my boys!! The last time I saw them was during May this year of their Super Show 4 Encore in Seoul! I flew all the way to Seoul for 44 hours just to see them! I miss them soooooo much! Finally get to see them this November! This is not just a concert but its a gathering for all the SM Artists with all the Fans out there! All the SM Artist Fans are super looking forward to this grand music event! ELF! Soshi! Jumping BoA! Shawols! Cassiopeia! Are you ready??? And here’s the ticketing information! 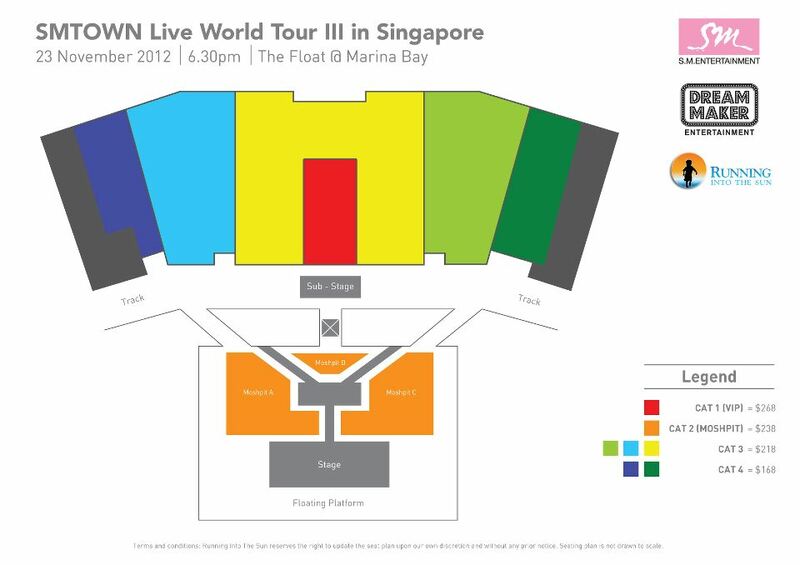 Running Into The Sun is bringing SMTOWN Live World Tour III in Singapore! This big event going to be held at The Float@Marina Bay! Yes! It’s the venue which NDP was held every year! The current confirmed line-up are Super Junior! Girls Generations! Boa! and f(x)! More to be updated, stay tune for Running Into The Sun updates. Tickets can be purchase through Sistic Website, counters and phone. I wanna say A big thank you to Presenting Sponsor, Samsung, and Official Card, OCBC Cards and Running Into The Sun for making this concert possible!!! The ticketing war is going to start on 29 September, 10.00am!!! I still couldn’t decide should I get VIP zone or Mosh Pits! Although Mosh Pits are really near to the stage and can get upclose to the artists but! I have to survive standing, pushing and running around for like 4 hours! I don’t know can I take it, and so far all the concert I didn’t experience standing before! The previous time I experienced ticketing sales from Girls Generation Concert in SG & Super Show 4 in SG its really war time! Sistic website hang, long queue at the counters..
As long as you can get a ticket regardless of the category you are super lucky already! Getting more excited about the concert after watching the highlights?? 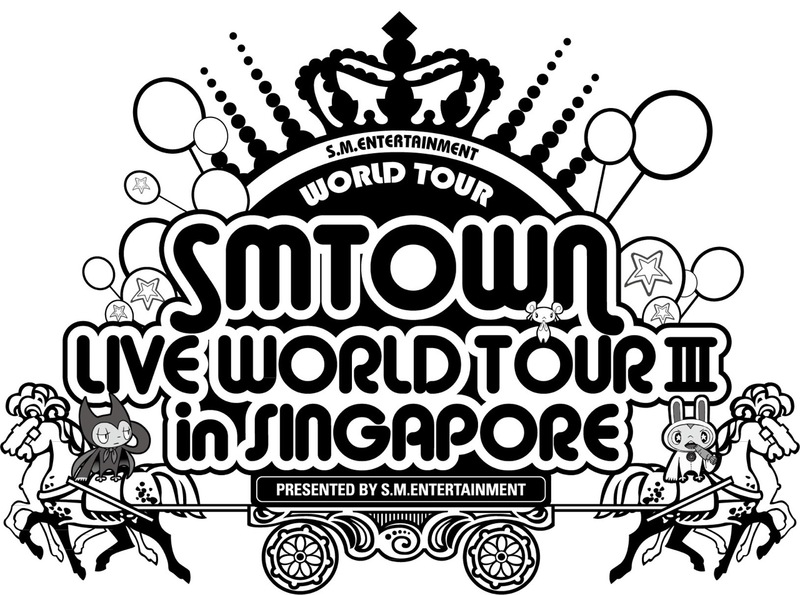 Counting down exactly 2 more months to SMTOWN Live World Tour III in Singapore!